Is Twitter the voice of today’s Hollywood in crowd? These days when you want to invite attention into your life you turn to 21st century technology, just ask Paris Hilton, Justin Bieber or millions of teenagers. But it’s not only teens and college kids tweeting their breakfast selections that are capitalizing on the social networking site Twitter. Hollywood’s biggest celebrities including Kim Kardashian and Neil Patrick Harris are using Twitter to release some of the most important details of their lives. After watching the premiere of The Spin Crowd on E!, the show that chronicles the hectic world of publicity, I began to wonder if it was necessary to delve into this type of realm in a reality show. Part of me knows all I need to know by following celebrity Twitter accounts. Think about it. In a day and age where A-list actors take to Twitter to release the details of their existence, is PR really what it used to be? Sure, a publicist helps spin and create the essence of an actor or actress, but Twitter seems to be doing a good job of that all on its own. SheKnows takes a look at some of the recent tweets celebrities shared with the world that have made a huge impact. Paris Hilton is known for her tweets, but her latest message about her home being invaded was truly terrifying. “So scary, just got woken up to a guy trying to break into my house holding two big knifes. Cops are here arresting,” the socialite tweeted. Not sure if Twitter would be the first thing on my mind after such a horrific ordeal, but Paris Hilton must have a reason for turning to Twitter first after a home invasion. Wonder if she even called the police first? Twitter? Police? Twitter? Police? What to do? Normally when a star breaks their silence about a relationship turned sour, some type of fancy press release or TV interview is scheduled. But not in the case of Kelly Osbourne. The former Dancing With the Stars contestant took to Twitter to ask fans, “Please stop bashing Luke. I don’t hate him, so why should you? We are still best friends, just not dating, so enough now.” Kelly Osbourne may have been cheated on, but she used Twitter to set the record straight. The former Dawson’s Creek heartthrob announced his nuptials via Twitter not long after his divorce to Heather Ann McComb was finalized. James Van Der Beek tweeted, “The woman I love did me the honor of became my wife today. I look forward to earning her love for the rest of my life.” He even made fun of his own grammar. “You’d think a big announcement like this would warrant a grammar check.” James Van Der Beek might have missed his spell check, but Twitter didn’t miss a beat of the most intimate day of his life. 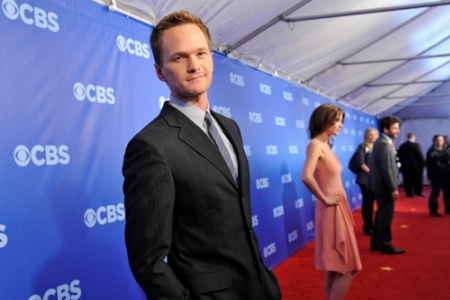 Leave it to Neil Patrick Harris to use Twitter to announce the upcoming arrival of his twins. Neil Patrick Harris and his partner David Burtka tweeted, “So, get this: David and I are expecting twins this fall.” Wonder if Neil Patrick Harris will tweet any Emmy Award wins after the August 29 Primetime Emmy Awards? Justin Bieber and Kim Kardashian sent an entire nation — Justin Bieber Nation that is — into an uproar from a tweet Kim released after a photo shoot in the Bahamas. “I officially have Bieber fever,” Kim Kardashian tweeted after the two met in the Bahamas. Justin Bieber then innocently tweeted a picture of himself and Kardashian [see below], calling her his new girlfriend. Now this is just an opinion, but news about marriages, babies, break-ups, not-so-real relationships and home invasions used to be released by a celebrity’s rep. Even something as silly as drastically changing a hairstyle would be delicately leaked to the press. Now, it’s all over Twitter first. Miley Cyrus has said she stopped using Twitter because she couldn’t grab a burger without people showing up. Yet, Ashton Kutcher loves his million-plus following. In this type of world it’s all relative, but one thing is for sure. Twitter knows all and sees all, much in the same capacity that a high-priced PR firm used to serve.